Fantasy Flight Games is streaming on YouTube and Twitch every Tuesday and Thursday at 1:00 PM Central Time! 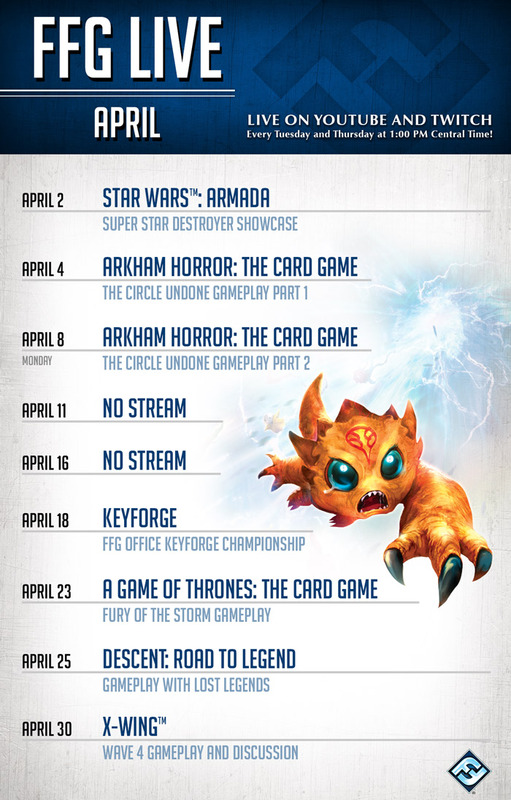 Tune in for previews of upcoming games, behind the scenes chats with the designers, strategy tips from the source, or just some fun gameplay of a favorite game in the FFG catalog. You can catch our stream below, or join the conversation on our YouTube and Twitch channels. We hope to see you there! Watch this month's past broadcasts here! For older livestreams, just head over to our YouTube channel.